So, on Wednesday, my new outdoor wheels arrived! Yay!! And then boooo.....it's pretty much rained since, lol... I was hoping to get out on them at the weekend if the weather stays dry, but Elton John has pretty much scunnered that idea by deciding to play a gig at the stadium where I skate. I'll have to ask around about some of the Helix footpaths I think. I've got 300 laps to practice for!! 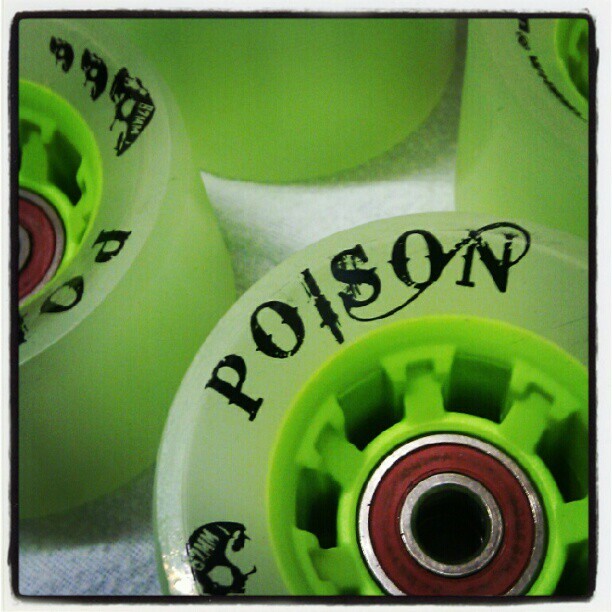 Thursday saw the arrival of more wheels, this time Atom Poisons after my wee shot with Fun Ghoul's. So this morning, I got stuck into my skates, taking the bearings out of the old wheels and cleaning them, then popping on some speed cream. S C A R L E T P O U T :: ALT FASHION. LIFESTYLE. RAMBLINGS.